More information and additional locations can be found here. 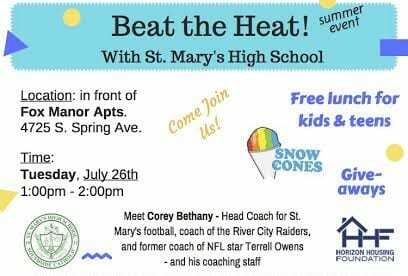 On Tuesday, July 26th, St. Mary’s High School will have snow cones and prizes in addition to the free summer meals. 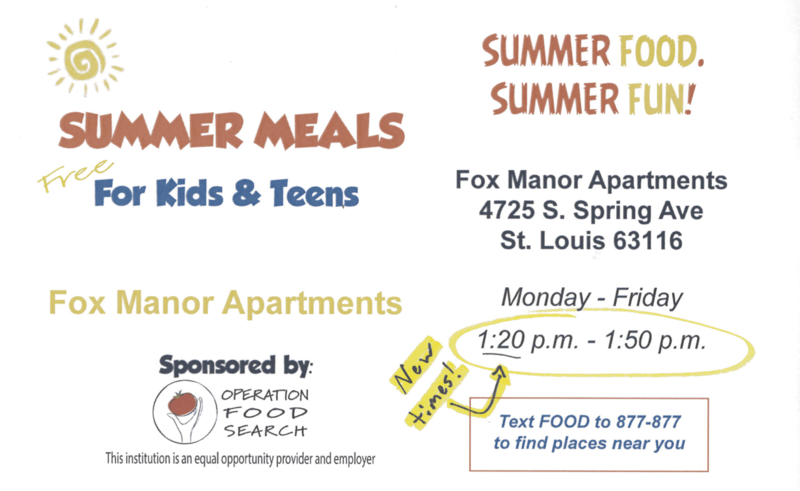 Come down to the Fox Manor Apartments from 1:00–2:00pm for this event.